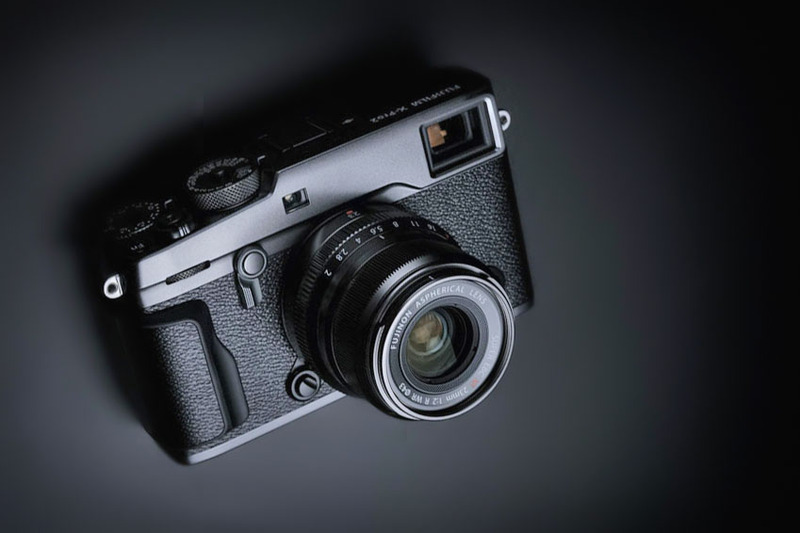 FUJIFILM Corporation (President: Kenji Sukeno) will release free firmware updates for the FUJIFILM X-Pro2 (“X-Pro2”) and FUJIFILM X-T2 (“X-T2”) double flagship models of the X Series of mirrorless digital cameras. The first one is due in late March and the second will be due late May 2017, reflecting users’ requests for improving operability and adding new functions. Applying the firmware updates will add new functions such as “Voice Memo” and “Copyright Information”, and dramatically improve operability in autofocus, video recording and viewfinder handling. The update enables you to use the RAW format when shooting not only in AE Bracketing but also in other Bracketing modes (ISO, Dynamic Range, White Balance, Film Simulaitons) and also in Advanced Filter modes. The update adds ISO125 and ISO160 to extended ISO levels available. Long exposure in the T mode currently goes only up to 30 seconds. The update will allow users to extend it up to 15 minutes. The update allows you to turn off the Command Dial’s function to adjust shutter speed by 1/3 steps in order to prevent unintended adjustments. With the update, set the ISO “A” position to “Command” to adjust ISO sensitivity across the full range, including extended ISOs, with the Front Command Dial. The update adds an AUTO option for the minimum shutter speed in the ISO Auto setting, that allows the camera to automatically define the minimum shutter speed according to the focal length of the lens attached. The update enables the use of Phase Detection AF for faster performance in Face Detection AF. The update reduces focus hunting in the AF-C mode, making it easier to track a subject. The update adds a smaller Focus Point size in Single Point AF, bringing the total number of available sizes to six. The new smallest size facilitates pin-point focusing. With the update, you can choose to have AF Points constantly displayed in Zone AF and Wide / Tracking AF, making it easier to track a subject. The update adds “AF-C Custom Setting” for specifying focus-tracking characteristics. Choose from five presets according to your subject’s type of movements. The update allows you to specify separate AF mode and AF point settings for portrait orientation and landscape orientation. The update allows you to use the Eye Sensor during video recording to automatically switch between EVF and LCD. The update allows you to change ISO setting during video recording. With the update, half-press the Shutter Release button or press the button assigned to “AF-ON” function during video recording to re-do autofocusing. The update allows you to display a live histogram during video recording. The update optimizes external microphone’s input level (lower limit revised from -12dB to 20dB) to reduce white noise when an external microphone with preamp is connected. The update gives the “Eye Sensor + LCD Image Display” option in the View Mode that allows you to shoot through the viewfinder and check images on the LCD, just as you would with an SLR. The update shortens EVF’s display time-lag in the AF-C mode so that you will not miss a photo opportunity. With the update, the small window in the Dual mode stays on even when you half-press the shutter release button. With the update, when you hold the camera in the portrait orientation, the camera will automatically display the GUI on the LCD in the same orientation. The update allows you to assign a specific name to Custom Settings 1 – 7. The update allows you to register the photographer’s name and the copyright holder’s name in advance so that the camera automatically adds the information to EXIF data for each image. The update enable you to record 30-second “Voice Memo” clips in the Playback mode. The update extends AE Bracketing from the current 3 frames +/-2EV to up to 9 frames +/-3EV. With the update, you can have the “Shoot Without Card” mode turned OFF so that the camera can not shoot when there is no SD card inserted. 28.Support for computer tethering via Wi-Fi (X-T2 only). The update adds support for computer tethering via Wi-Fi. With the update, select “All” in the AF mode so that you can select the AF mode and Focus Area size by only using the Command Dial. Additional options of “-6” and “-7” to the “EVF Brightness” setting so that, even in an extremely low-light condition, the brightness of the EVF does not distract you from shooting. The update allows you to switch between the main and sub displays in the Dual Display mode. With the update, you can assign a specific function to be activated when the Rear Command Dial is pressed.